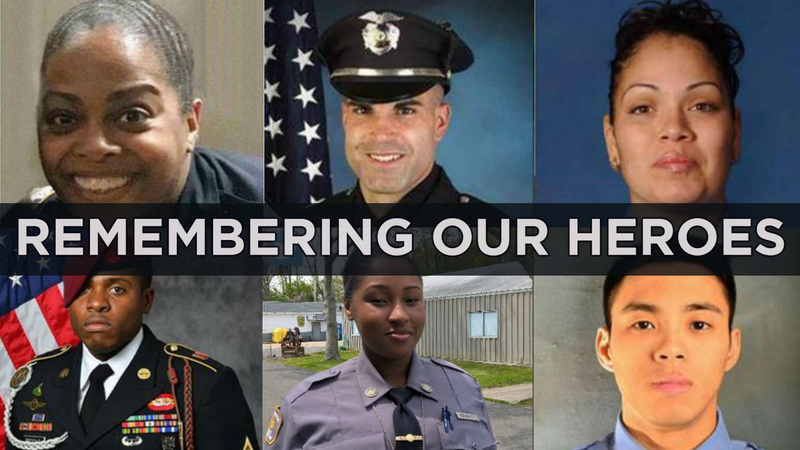 NEW YORK (WABC) -- As 2018 quickly approaches, we are taking a moment to remember some of the local heroes we lost in 2017. These police officers, firefighters, soldiers and others dedicated their lives to helping people and serving others. Some were killed on the job, while the others were killed when they weren't on duty. As the year comes to an end, we recognize the pain their family and loved ones will continue to experience. May they all rest in peace. Familia was shot and killed while sitting inside her police car in the Bronx on July 5, 2017. 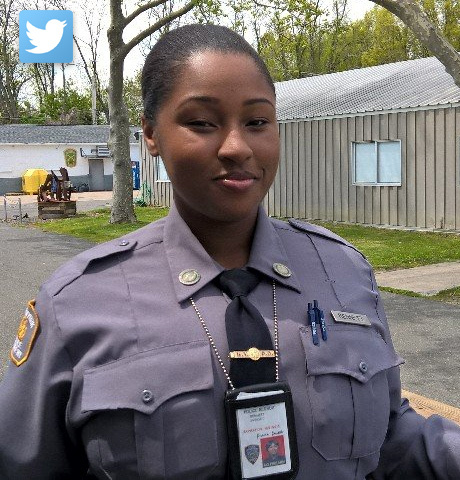 She was the first female NYPD officer to die in the line of duty since 9/11. She left behind a 20-year-old daughter, 12-year-old twins and her 86-year-old mother. Arroyo was killed March 16, 2017 after she was run over when a suspect stole her ambulance in the Bronx. The 44-year-old mother of five was a 14-year veteran of the FDNY. Brooks, 30, was killed August 13, 2017 fighting ISIS in Iraq when his artillery misfired. The Brooklyn native's father made headlines in October when he accused President Trump of inaccurately boasting that he contacted all Gold Star families on his watch. Peters died May 28, 2017 in Jersey City when a parachute jump went wrong during a Fleet Week stunt at Liberty State Park. Smith was among the 10 U.S. sailors killed on Aug. 21, 2017 when a Navy ship collided with an oil tanker near Singapore. The New Jersey native was a 2013 graduate of Cherry Hill High School East. Liang was killed while riding his motorcycle Sept. 30, 2017 in a hit-and-run crash on the Kosciuszko Bridge. The 27-year-old was off duty at the time, but friends and family explained he had just passed the firefighters exam and was about to live his dream. Tarentino was killed in a car crash on his way to work on May 30, 2017 in Bernards, New Jersey. He was posthumously promoted to detective. The 29-year-old is survived by his wife -- who was pregnant at the time of the crash -- and two other children. She gave birth to a baby girl in August. Nierstedt was killed in a crash in Jersey City on Nov. 16, 2017. The off-duty firefighter was not driving at the time of the crash. He was one of 19 military veterans sworn into the department at the same time in a unique ceremony one year earlier. His father was a Jersey City Police Department captain and his uncle was a Jersey City Fire Department captain. Bennett was killed in the Bronx when the car she was riding in flipped off a traffic circle on Feb. 1, 2017. The 27-year-old was off-duty at the time of the crash. The driver of the car, 32-year-old Sgt. Randolph Price, was treated for leg trauma and burns. Espinal was killed August 9, 2017 when she was run over by her own van while unloading passengers in the Bronx. Another vehicle struck the 37-year-old mother's ambulette, causing it to roll over and land on top of her. Of the 15 Marines and one Navy sailor killed in a plane crash in Mississippi on July 10, 2017, nine were based out of Stewart Air National Guard Base in Newburgh, New York. Owen Lennon, 26, graduated in 2008 from Ramapo High School in Rockland County. Dan Baldassare, 20, grew up in suburban Colts Neck, New Jersey. He wanted to be a Marine since he was in middle school. Sgt. Julian Kevianne, 31, lived with his wife in New Windsor, New York. Gunnery Sgt. Brendan Johnson, 46, told his father he had the best job in the Marine Corps. He was based in Newburgh and planned to retire next year.